Warning: contains spoilers for You, currently available on Netflix. The internet-wide explosion of social media discourse regarding the ten-part thriller, You, got me thinking: how have I romanticised toxic fictional men in the past? You, adapted from the novel written by Caroline Kepnes, follows (no pun-intended) Joe, a bookstore manager, who is determined to convince Brown University student, Guinevere Beck, that he is her knight in shining armour, the one she’s been waiting for, the love of her life, her true soulmate. Sure, nothing new here. Until there is. Joe stalks, tells pathological lies, uses relentless emotional manipulation, and even resorts to murder in a bid to make sure that Beck’s entire life revolves around him. It becomes obvious that nothing is off limits for Joe to get what he wants; and of course, he does get what he wants. Terrible, right? Cut to very recently. 14-year old Stranger Things actress, Millie Bobby Brown, has been heavily criticised all over social media for taking to her Instagram account to claim that stalker and murderer Joe is in fact not creepy, but just in love. People both directly and indirectly shamed the young actress for being naively blinded by the objectively attractive Penn Badgley’s exterior - with many going on to claim that she was stupid to miss the obvious manipulation and toxicity he was displaying with his actions from the very first episode. It is all too easy to forget in the age of being “woke” that we, as a generation, were not always aware of the deception inflicted on us by popular culture—we were too busy in our emo phase listening to Panic! At the Disco and Paramore to care. Older and wiser now, we have likely taken the steps to unlearn the pernicious behaviours that plague our favourite teenage stories. We should try to extend that growth period to younger generation and implore them to educate themselves instead of shame and condescend them. Those of us who are in our twenties to early thirties grew up in the height of entertainment movie phenomenons like Harry Potter, Twilight, and The Hunger Games; as well as classic CW shows like The Vampire Diaries and Gossip Girl. As we tuned into these shows religiously and bought tickets to the midnight showings of the major feature films, we weren’t seriously criticised by anyone we knew for the problematic implications of our “Team Edward” t-shirts, much less the entire internet. Within the first five episodes of Gossip Girl, rich kid Chuck Bass almost rapes Jenny Humphrey. Not only is this glossed over in the show, but Chuck grew to be one of the show’s most well-loved and rooted-for characters, despite his consistently disgusting behaviour, namely towards women. Most of the Twilight fandom spent their time debating whether they were Team Edward or Team Jacob, when they probably should have been - and perhaps would have been, had they known better - acknowledging the fact that both men were particularly malignant in their own right. Edward was overbearingly possessive and Jacob used the threat of suicide to manipulate Bella into kissing him. Despite the glorification of toxic men and the marketing of these relationships, we were eventually able to look back and realise the outright faults and dangers of our favourite fictional worlds. I think we owe the same courtesy to upcoming generations while also demanding a decrease in the romanticising of destructive behaviours in stories targeted towards a younger audience. 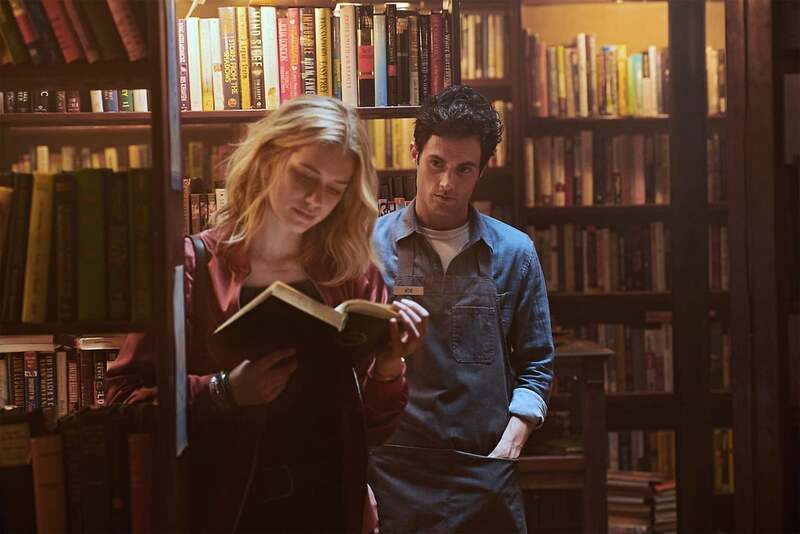 I think You and its cast - especially Penn Badgley, on his Twitter account - have done an excellent job of reminding viewers that the show is meant to dissect the dangers of these detrimental behaviours we’ve been manipulated into deeming romantic, as well as holding up a mirror to show how social media has negatively influenced our relationships. Here's to the second season.